When it rains, most people give little thought to runoff. They are either happy because we need it, or upset because we have too much. A small portion of this precipitation is absorbed by the ground and recharges groundwater supplies, but the vast majority runs off lawns, streets, driveways and parking lots. Where does it go? In Wyomissing, it all eventually gets to the Wyomissing Creek or the Tulpehocken Creek. Think about it for a minute, rain water runs off your lawn or driveway, onto the street, into a catch basin and is then piped to the creek. All the while picking up pollutants like lawn fertilizer, antifreeze, grit, water bottles and the list goes on and on. To limit the harm caused by these pollutants the EPA amended the Clean Water Act by mandating that municipalities in urbanized areas obtain a stormwater permit. This law then tricked down to the PA DEP and then to local governments. 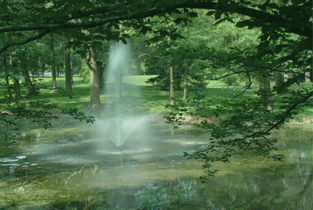 By having a permit the Borough must follow some basic rules like educating the public, having public participation, changing ordinances to reduce runoff, having rules for earth disturbance and many more. As a citizen, we ask that you be aware of these issues. In the long run, better awareness by all will lead to cleaner and better waterways. If you see something that appears to be a pollutant running down the road or in a catch basin, please call the Borough Hall first at 610-376-7481. You can also fill out the form that appears here. Should you be interested in commenting on either plan, please forward an email by clicking wyomissingcreekprp@wyomissingboro.org.